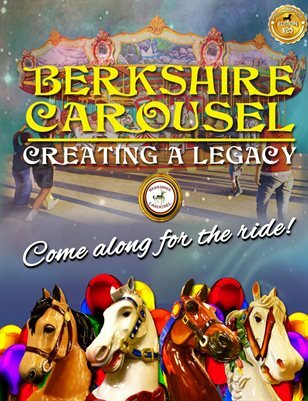 The Berkshire Carousel is a community project in The Berkshires of Massachusetts that was designed to create an authentic classic wooden carousel that is both a work of art and a wonderful form of family fun and entertainment. 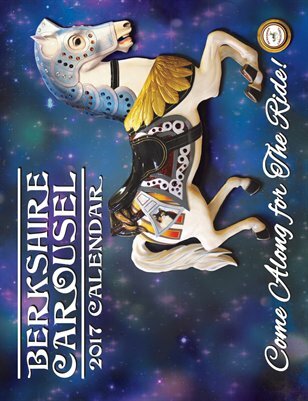 The project involved hundreds of volunteers from Berkshire County who are carving, sanding, and painting the carousel ponies and creating the artwork to be featured on the ride. The Berkshire Carousel is the most ambitious and largest permanent artwork ever created in the Berkshires. The Carousel is now completed and open for rides, with our Grand Opening having taken place on July 1, 2016 in Pittsfield, MA. We have completed phase 1 of our building and now doing fundraising for phase 2 & 3. The proceeds from these products goes directly to our carousel.